Today, I want to cover one way to identify spam listings and the steps you can take to remove GMBs that are in violation of Google’s terms of service. I feel a little icky writing some of this because if you take “legitimate listings” and run them through a comprehensive audit, there are plenty of instances where they can be in violation of Google’s TOS, not because someone is performing black hat methods, but from situational ignorance when optimizing or setting up the listing. Having said that, I want to dive deeper into a way that can help you unearth potential spam issues on the map whilst you are going about measuring your own site’s progress. 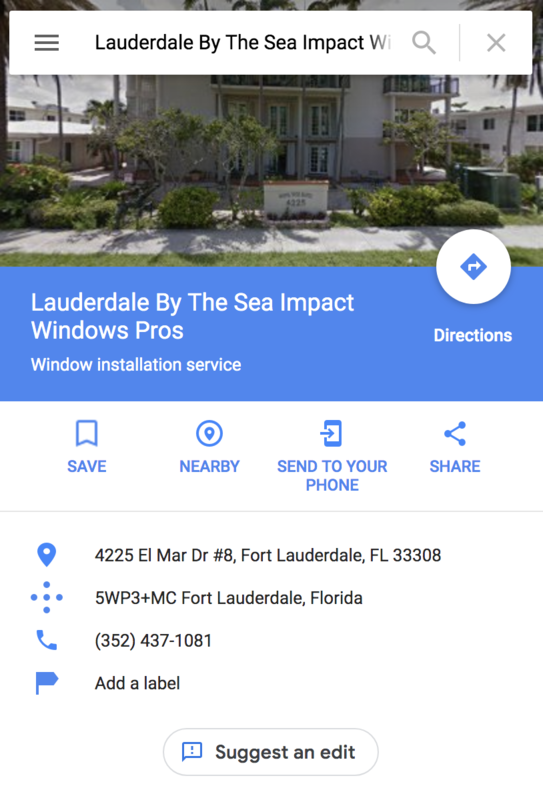 I want to show you how to cast a wide net for finding potential spam listings in the SERPs. As you can see the cluster of high rankings are interrupted by a node that has this GMBs ranking dropping from 1’s and 2’s rapidly down to 13. Could be a false alarm, but let’s dig deep and see what we find. 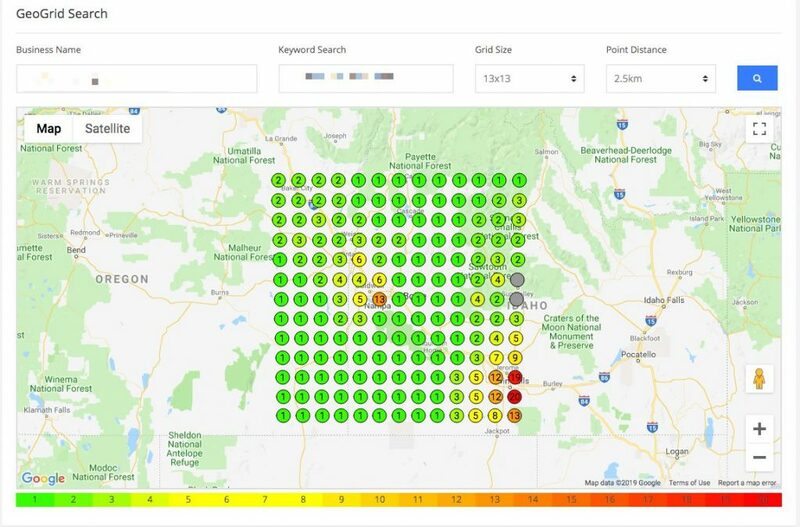 Clicking on a specific node will pull up a modal that contains the top 20 ranking GMBs for that specific area. A few things jump out at me. Going out of order, I want to point out what jumped out at me first. 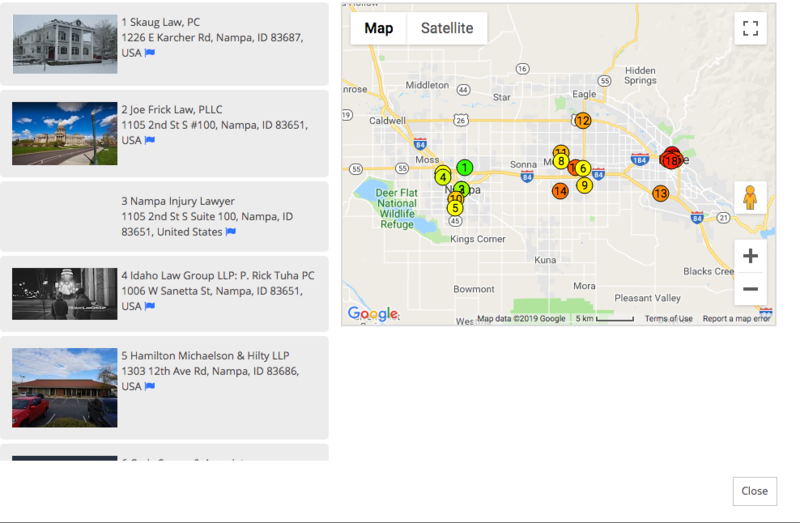 The number three listing, Nampa Injury Lawyer jumps out at me for a few reasons. The name is an exact match keyword and looks nothing like the name of a real brand. The listing is not completely filled out or well optimized. No Reviews. Again, this is not always indicative of being a spam listing, but it does push me to take a second glance. TONS of legitimate businesses are located in suites and offices in a building, but I always double check listings when I see this. This is enough for me to dig deeper into the listing to determine the validity of its existence. This snapshot should give away what we are going to find when we click into the street view, but, in the event that it doesn’t, let’s jump into the map itself. Uh oh…Look what we found. 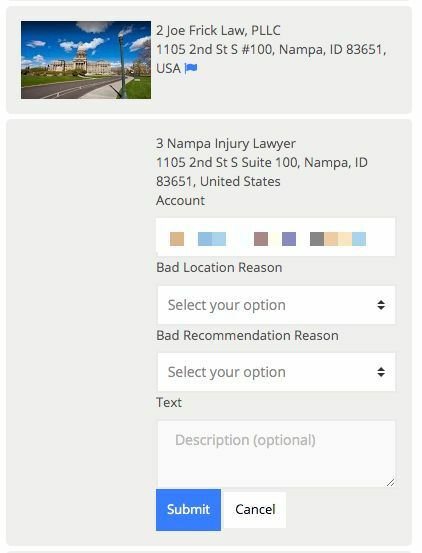 That, my friends, is not Nampa Injury Lawyer. That also is not Joe Frick Law, PLLC. If we needed any additional proof, which we do not, we can call the number on the Nampa listing and it is a tracking number that forwards to Joe Frick. Same building, where neither business really exists, and wouldn’t you know they are related. Now that we are confident that this is a lead gen listing we can begin the reporting the process. Inside of the Local Viking modal, you can see a flag at the bottom of every listing. That is our report button. The top bar allows you to rotate through your Google accounts that you added into the Local Viking account. This could even be local guide accounts that you added specifically for reporting purposes. 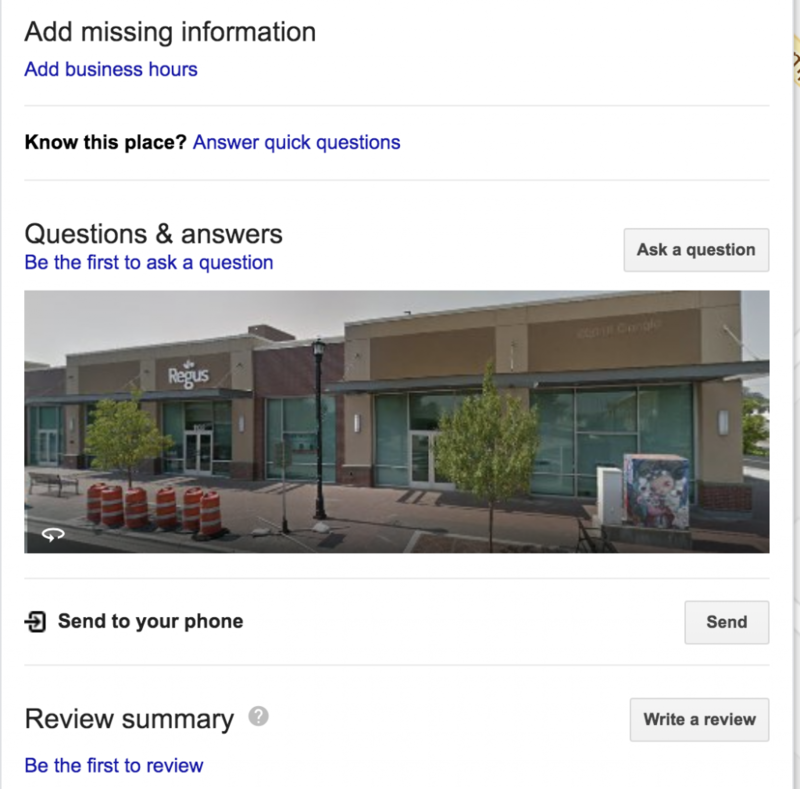 In theory, you could also quickly report and rotate through your Google Guide Accounts and mass report listings. We are still gathering data on the effectiveness of this strategy and do not recommend that this be used for nefarious purposes. Here is a quick video showing you the process from start to finish. If you guys have any additional questions about identifying spam listings, using the reporting functionality in Local Viking, etc. please let us know.